The Racing Medication and Testing Consortium has heavily criticized a court ruling in Kentucky, saying it put the state out of step with other major racing jurisdictions. The consortium, which works to develop and promote consistent rules, policies and drug testing standards in racing across the US, asserted the ruling by Franklin Circuit Court Judge Thomas Wingate undermined its efforts toward national uniformity of regulations. It said the ruling had moved Kentucky backward in its regulation of horse racing, putting at risk the health and welfare of horses racing in the state, the safety of jockeys, and the integrity of Kentucky horse racing in general. Judge Wingate issued his ruling on August 18, overruling the suspension and fine imposed by the Kentucky Horse Racing Commission on trainer Graham Motion for an overage of the muscle-relaxing drug methocarbamol in 2015. Wingate found that the absolute insurer rule – the strict liability principle at the center of the state’s drug regulations – was unconstitutional. The judge ruled that the absolute-insurer rule does not provide a trainer with adequate due-process protections. This strict liability principle is central to drug regulation in racing and other equine disciplines around the world, including those administered by the FEI. The case related backed to Kitten’s Point win in the Group-3 Bewitch Stakes at Keeneland in 2015. Motion had explained to the commission that he had, indeed, given the drug to the horse but withdrew the medication seven days before the race, when the official withdrawal time was only two days. The consortium, in a statement released on Thursday, said it had reviewed the court ruling. 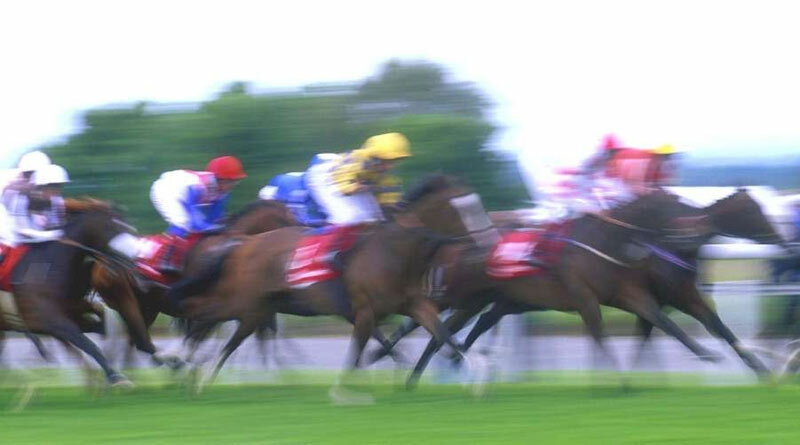 “The ruling in this case is wrong concerning the scientific basis for the methocarbamol threshold applied by the Kentucky Horse Racing Commission, and has moved Kentucky backward in its regulation of horse racing – putting at risk the health and welfare of horses racing in Kentucky, the safety of jockeys and the integrity of Kentucky horse racing in general,” it said. The consortium said the Kentucky Horse Racing Authority’s enforcement of the threshold was properly based upon scientific research and analysis performed and/or referenced by the consortium. “The original study upon which this threshold is based was founded on sound science. “The thresholds and withdrawal guidance provide the best information for compliance where an intravenous dose is given at 48 hours or more prior to a race. “In fact, this methocarbamol threshold was revisited by the RMTC’s Scientific Advisory Committee (SAC) as recently as last year. The consortium said it stood behind its recommendation. “The decision by the circuit court to require the research to identify the point at which a therapeutic effect completely ends is short-sighted and over-simplifies the complexities of determining thresholds for therapeutic medications. “That question assumes the possibility of pinpointing the exact concentration at which a medication no longer has an effect in a sport where fractions of an inch mean the difference between winning and losing. “Moreover, it fails to take into consideration the side effects of a medication which can ultimately affect the outcome of a race. The consortium said the US as a whole had moved away from the rebuttable presumption standard to the absolute insurer rule. It said it opposed the court ruling and stood by the Kentucky Horse Racing Commission. It said its Scientific Advisory Committee comprised experts in the field of analytic chemistry, veterinary pharmacology, regulatory veterinary medicine, toxicology and veterinary medicine. The consortium consists of 23 racing industry stakeholders and organizations that represent Thoroughbred, Standardbred, American Quarter Horse and Arabian racing.